Colorado Springs has plenty of things to do throughout the year. From International events that bring people from all over the world like the Broadmoor Pikes Peak Hill Climb and the Pikes Peak or Bust Rodeo, to local events such as the Western Street Breakfast (pictured above) held on the streets of Downtown Colorado Springs, there are so many things to do in Colorado Springs! We love Colorado Springs and have lived here for over 32 years! We want to share our local knowledge with you so you can be in-the-know on things to do in Colorado Springs throughout the year. The following is our favorite annual events in Colorado Springs organized by season, summer, fall, winter and spring. The Pikes Peak International Hill Climb is one of the most unique auto races in the world. With over a hundred year history, the Race to the Clouds is a must-see for any motorsport enthusiast. This annual invitational auto race climbs America's Mountain just West of Colorado Springs every year on the last Sunday in June. The race includes automobiles of all types such as open-wheel racers, motorcycles, ATV's and even sidecars. The race follows 156 turns, 12.42 miles with a finish line at 14,115 ft. The Rocky Mountain State Games is the largest and most diverse festival of sports competition in all of Colorado. With athletes of all ages, athletic ability and even those with a physical disability or visual impairment eligible to compete in a wide array of sports this event is truly unique. Additionally, the venues where the competitions take place are world-class. The Olympic Training Center, Air Force Academy, University of Colorado Colorado Springs and even Memorial Park are where the events take place throughout a couple weekends in July every year in Colorado Springs. Pikes Peak Ascent and Marathon is the pinnacle of challenging foot races. With a 7.8K elevation change, there are not many other races quite like this one. For any athlete looking to be put to the test, this event is for those who are at the top of their game. Therefore, anyone looking to run in the Ascent (half marathon) or the Marathon (up and back down) must qualify. For details see qualification requirements. To watch the race, you can drive to the summit of Pikes Peak on the toll road which opens at 7:30 AM on race day. The Colorado Springs Labor Day Lift Off is one of our favorite annual events in Colorado Springs. We love to get to Memorial Park super early for the opening ceremony and to watch the first wave of hot air balloons take off. It is really cool to see the balloons dip-and-dash in Prospect Lake. Also, the night before enjoys the balloon glow where the balloons are lit up by their flames against the night sky. The view from the balloon glow is simply magical. The lift-off and the balloon glow are perfect events for the kids with endless views of incredible balloons in flight and plenty of entertainment like the U.S. Air Force Skydiving Team demonstration, food trucks, paddleboarding, and even an Ultimate Frisbee Exhibition. Fall in Colorado Springs is hard to beat. With the changing colors of the aspens in the high country to the wide array of fall colors on trees throughout Colorado Springs, there is always a spectacular view surrounding the city with great events to pair. From Air Force Falcon Football games to art festivals and Oktoberfest celebrations fall time in Colorado Springs is sure to provide a wealth of fun and exciting opportunities. For all ages and skill levels, the Bikes and Brews have three separate routes and difficulties to choose from. The race takes riders by the Royal Gorge Bridge and Skyline Drive which yields spectacular views of the incredible canyon carved by the Arkansas River. As a bonus, enjoy brews from Odell Brewing company at the end of the race in scenic Cañon City, Colorado. 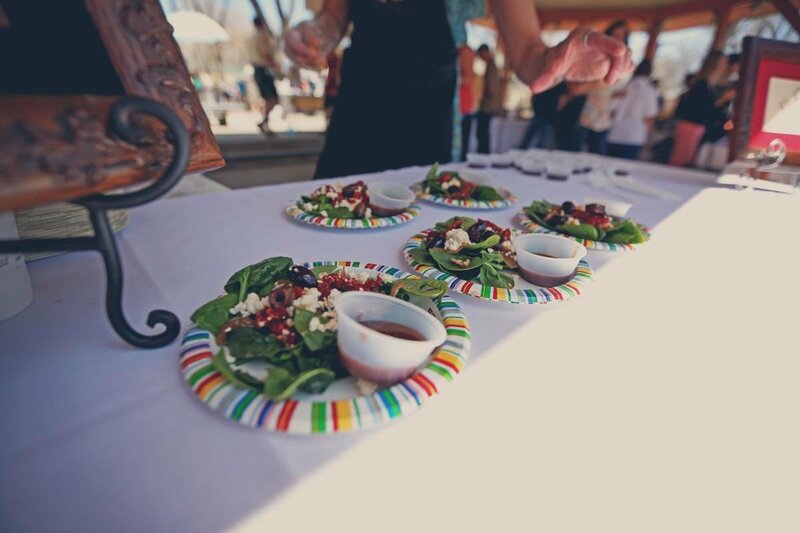 With more than 20 breweries, wineries and chefs from local restaurants cooking up the finest of fare this event showcases Old Colorado City's best. With the center of action located in Bancroft Park in Old Colorado City enjoy this historical area while your taste buds are satisfied like never before! This annual event celebrates one of the most important pieces of Colorado Springs history: the rich history of indigenous people. Visit Rock Ledge Ranch any time of the year to get a taste of the American Indian heritage in the Colorado Springs area but on this special day in September, every year, you can experience this incredible history first hand with a traditional Powwow. The annual Colorado Springs Marathon is a great event for athletes of all ages and skill levels. From a Kids-K, 5K, to Half and Full Marathon's this event is great for families looking to have a great time outside as well as series athletes looking to take their hand at a series challenge. The course starts at Acacia Park in beautiful downtown Colorado Springs. First Friday Downtown is a free event that is open to the public and happens every 1st Friday of the month throughout the year from 5-8 PM in Downtown Colorado Springs. The event includes a wide array of art galleries, shops, and restaurants along the Downtown corridor. GalaxyFest is a multi-facet event that celebrates pop culture, comic culture, arts, engineering, math, entertainment, science, technology and literacy in the Southern Colorado Region. The event has an impressive attendance of more than 3,800 attendees in 2017 and is the perfect event for both adults and children. The Cheyenne Mountain Zoo's electric safari is one of our favorite events to take the kids too. The festive light displays throughout the zoo made the perfect place for the kids to enjoy the animals, events, music, and fun the zoo has to offer. The Colorado Springs Festival of Lights parade has been entertaining crowds in the Pikes Peak Region for 34 winters straight. The Parade has plenty to see with Santa and his reindeer, musical performances, and even a traveling North Pole! This event is the perfect event for kids getting jazzed up about the holiday season. Spring is such a fun time in Colorado Springs with flowers blooming and locals gearing up for the warm season full of camping, hiking, fishing and simply having a blast in the outdoors! From migratory birds passing through our state such as Sandhill cranes (see them in person at the Monte Vista Crane Festival in Monte Vista Colorado) to wildflowers blooming and river levels rising for paddle sports enthusiasts to take advantage of Spring in Colorado means fun! If you love historical machinery this event is for you. With all sorts of live displays of antique machinery and mining equipment, this event is sure to be of interest to anyone looking to learn about the history of machinery in the Pikes Peak Region. Taking place at the Western Mining Museum there is plenty to see inside and out! FIBARK is one of the most popular boating festivals in the world and takes place on arguably the most popular whitewater in the world: Arkansas River in Salida, Colorado. Enjoy watching competitive races such as standup paddle boarding and kayak races and even trick contests that provide a super fun event to watch. If you love multi-facet music and camping festivals that focuses on electronic music, art, yoga, dance and education this event is for you. Taking place at the scenic Hummingbird Ranch in Rye, Colorado this event has impressed attendees looking for a human performance that inspires open and co-creativity for everyone attending for years. The Colorado Springs Western Street Breakfast is one of the oldest recurring traditions in the Pikes Peak region. Since the first breakfast was served from a chuck wagon in 1936 this event has fed locals for less than $5 on an annual basis ever since. The first breakfast was served for $1 and today it only costs $5! The breakfast is served by military volunteers and includes a parade of horse riders by the Pikes Peak Range Riders. Does living near all these great annual events interest you? Be sure to contact Joe Clement to help you find the best Colorado Springs properties!